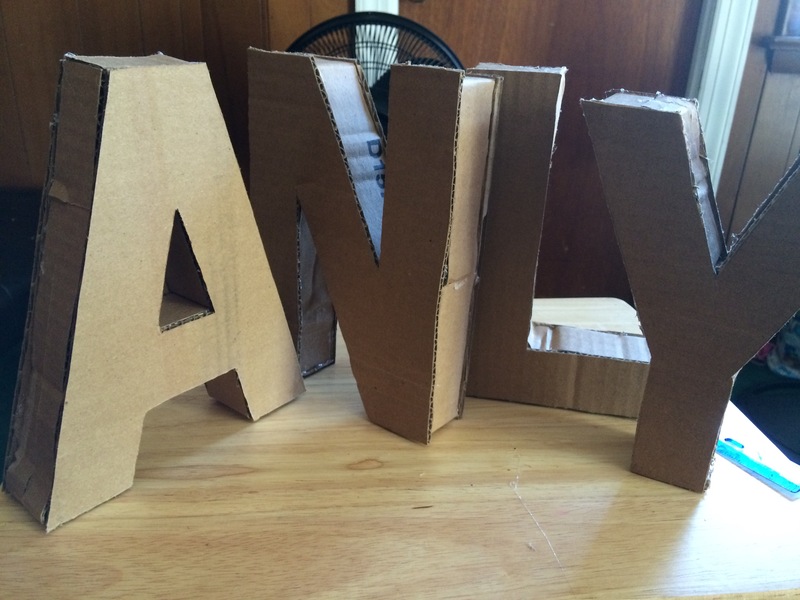 How many of you have seen this big cardboard or paper maché letters in the craft store? Beautiful, ah? And with a lot of options to decorate. 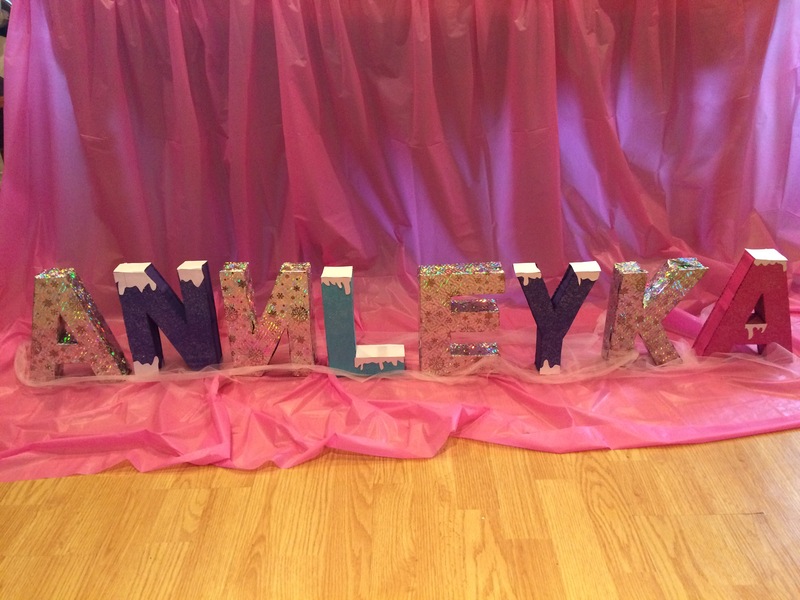 But, when I see my daughter’s name length, I realize thata I was going to spend a lot of money in them. So, I decided to make them myself. It was not that difficult and the things that you need, you probably have them around your house. So, let’s begin! 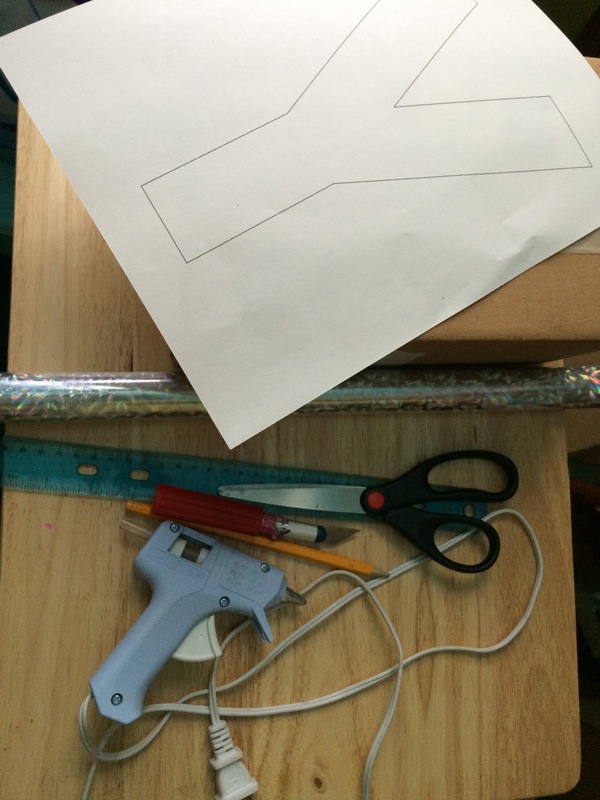 Cut the stencil with the scissors. 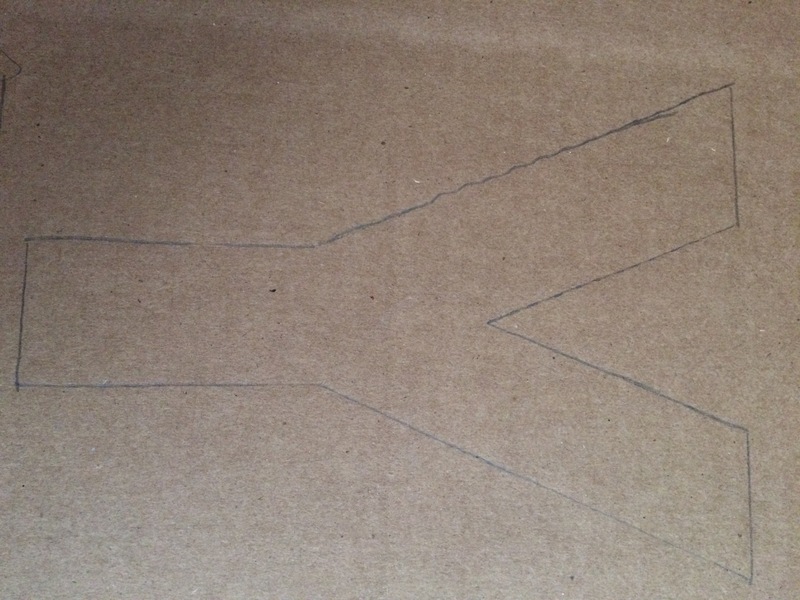 Put the stencil in the cardboard and draw it with the pencil. You can put a little tape so it doesn’t slip. You must trace 2 of each letter for the two sides. Cut the letters out with an Exacto knife. 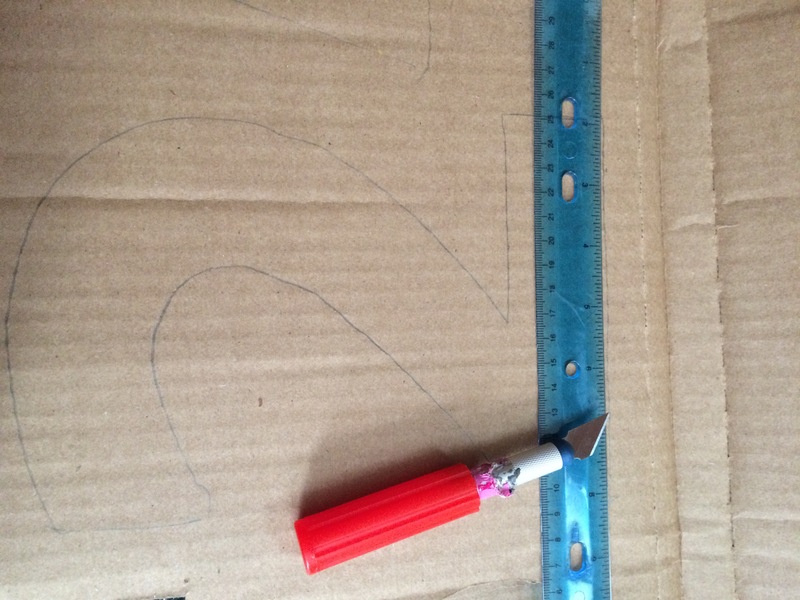 Use the ruler to make sure the lines are straight. 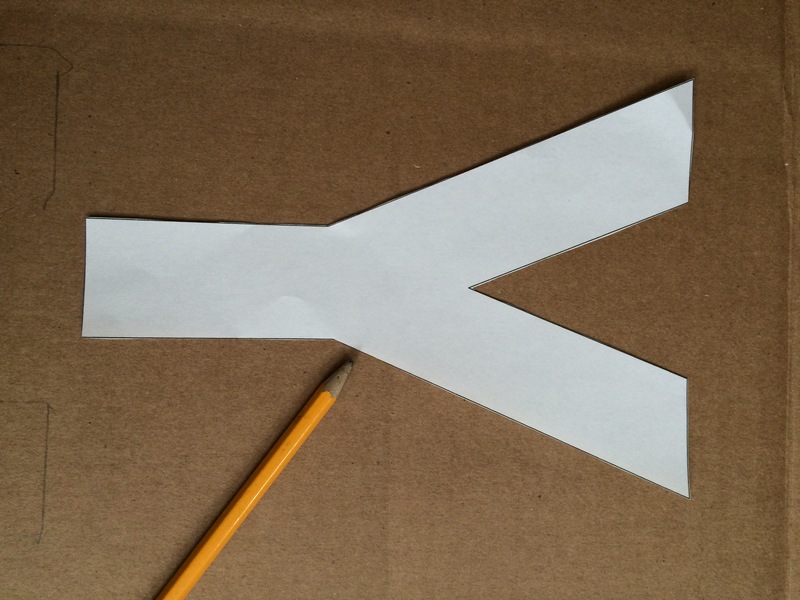 For the sides, cut long cardboard strips of 1.5″ wide. Start the assembly putting hot glue and attaching the cardboard strips to the letter border. If the letter has a hole in the middle start making the hole border first. You must bend the cardboard so it fits in the borders. 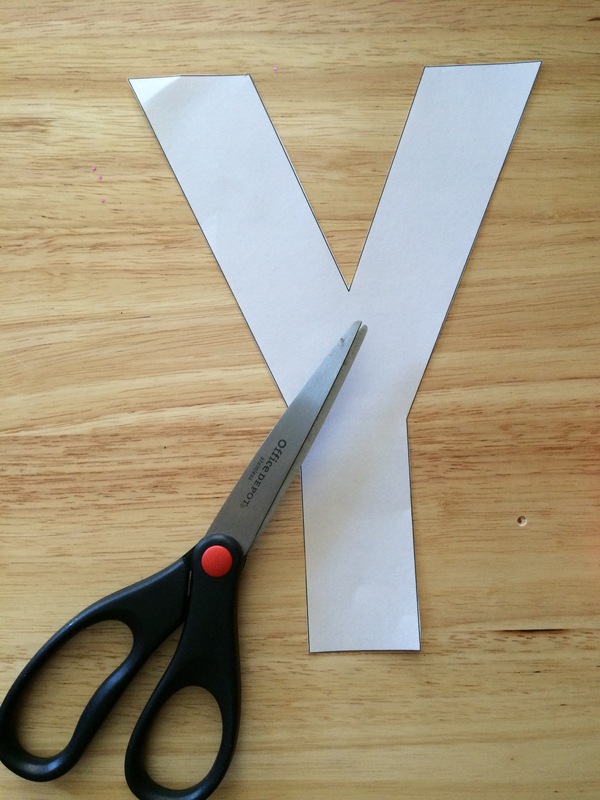 Put hot glue in the top of the finished border and put the other side of the letter. 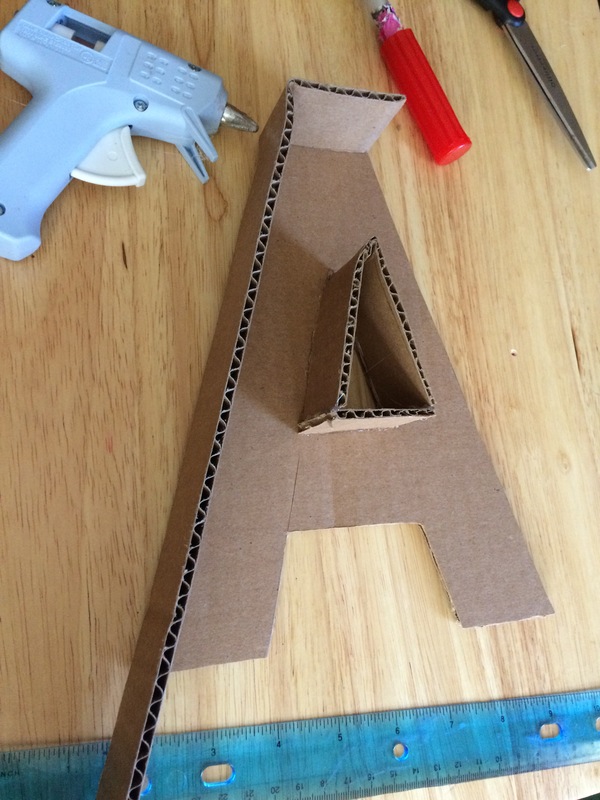 Cut any excess and you have made a 3D cardboard letter! Now it’s time to use your imagination and decorate them. Since mine are for my daughter’s Frozen birthday, I decorate some of them with a silver gift wrap with snowflakes that I had left from past Christmas. The other half, I painted them with acrylic paint and put some white cardstock simulating snow. You can use whatever you want and add flowers, beads or literally anything. Hope you liked this post. 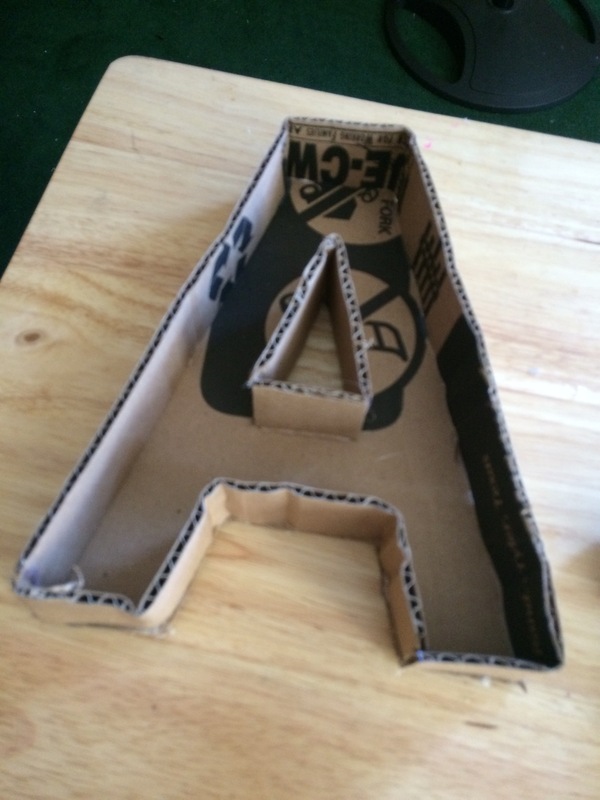 Please share and comment if you try to do this 3D cardboard letters and share your pics with us. How big are those letters you made ??? and how did you trace it to be bigger than what we print out on word? They are aprox 9″ big. I printed them that big. Insert a WordArt with the letter you want and make it 750pt for aprox 9″ letters. They were big enough that I had to put them in the floor instead of the table. Hope it helps.